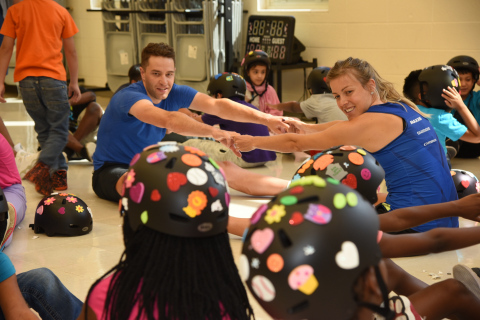 B-Roll with visuals of students decorating helmets donated by UnitedHealthcare, doing exercises with pro cyclists, and getting helmet fitting and bicycle safety lessons from High Point police officers (Video: Mark Caudill). UnitedHealthcare pro cyclists Adrian Hegyvary (left) and Rushlee Buchanan lead healthy exercises and stretches with second and third graders from Fairview Elementary during a helmet giveaway event ahead of the Carolina Classic pro cycling race this weekend in Greensboro, N.C. (Photo: David Rosen). 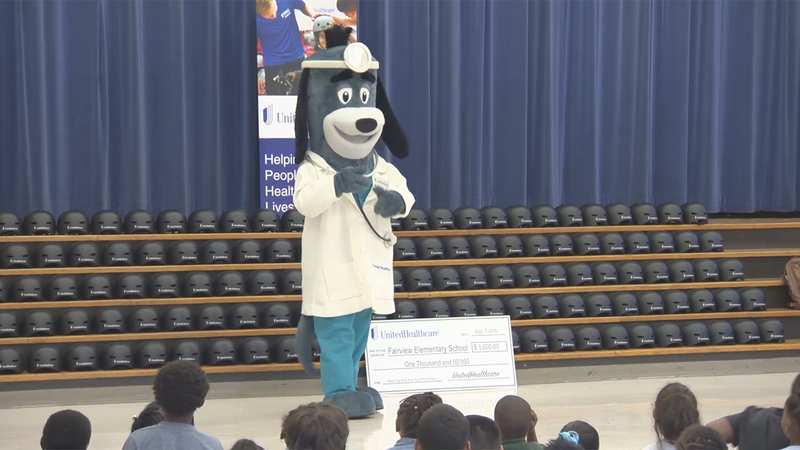 HIGH POINT, N.C.--(BUSINESS WIRE)--UnitedHealthcare volunteers and the High Point Police Department donated new bike helmets and provided bike safety demonstrations to more than 120 second and third graders from Fairview Elementary School today. UnitedHealthcare pro cyclists Adrian Hegyvary and Rushlee Buchanan discussed the benefits of exercise and encouraged the children to attend the Carolina Cup in Country Park on Sept. 9. The students personalized their helmets with colorful stickers and decals. Today more than 120 children from Fairview Elementary School received bike safety demonstrations and received new bike helmets from UnitedHealthcare.